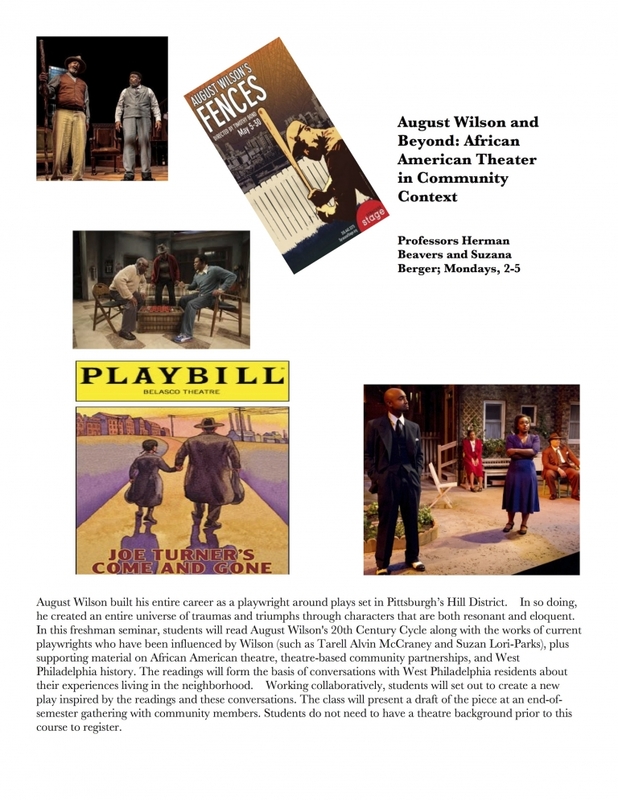 playwrights who have been influenced by Wilson (such as Tarell Alvin McCraney and Suzan Lori-Parks), plus supporting material on African American theatre, theatre-based community partnerships, and West Philadelphia history. The readings will form the basis of conversations with West Philadelphia residents about their experiences living in the neighborhood. Working collaboratively, students will set out to create a new play inspired by the readings and these conversations. The class will present a draft of the piece at an end-of-semester gathering with community members. Students do not need to have a theatre background prior to this course to register.